School of Management Studies (SOMS), NITC offers two years full time residential MBA programme. The MBA course at School of Management Studies, NITC has been carefully designed keeping in mind needs of the industry. The course curriculum meets international standards and has been approved by the eminent academicians in the field of management. The various electives offered include Marketing, Human Resource Management, Finance, Operations and Business Analytics. Some of the papers offered in this course are unique, like the Business Disaster Recovery and Continuity Management. 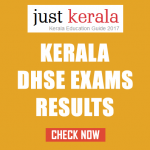 Candidates who have passed Higher Secondary Examination, Kerala, or Examinations recognized as equivalent thereto, with 50 % marks in Mathematics separately, and 50 % marks in Mathematics, Physics and Chemistry/Bio-technology/Computer Science /Biology put together are eligible for admission. Set in a picturesque landscape at the foothills of the Western Ghats, National Institute of Technology Calicut (NITC) is located about 22 kilometers north-east of Calicut City. Calicut International Airport is the nearest airport from here. Disclaimer: All efforts have been made to provide the accurate information about education in Kerala for students. However we do not own any responsibility for the correctness or authenticity of the same. Please check respective college or education institute's official website for latest results, admission dates and other related information. Some of the pictures and copyright items belong to their respective owners. If any copyright is violated, kindly inform and we will promptly remove the picture. This website is not the official website of any of educational institutes.